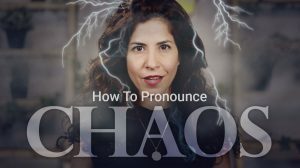 Do you use this word as much as you want to? 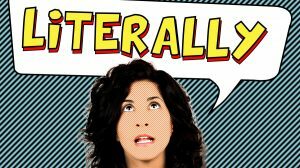 How should we pronounce this 4-syllable word with all those L’s and R’s? I want to update you that the new Accent Makeover online course has started this week (it’s going great, thank), and because of high demand I’m opening a new group that will begin next week. You still have a chance to join! LIVE sessions on Tuesdays, recorded sessions 24/7. The course includes six 90 min. sessions, massive practice and personal feedback from me. The best thing about it is that if you’re not happy with it, you’ll get your money back after the first session no questions asked. Come check it out. What have you got to lose? 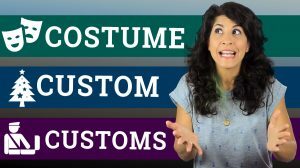 How to pronounce costume, custom and customs. Surely “particularly” is a 5 syllable word not 4. The “per” sound at the beginning may be true of American English but is not necessarily the case elsewhere. I’m Australian and it’s a short soft “par” sound though here it’s more likely to sound like “pah” as we speak a noticeably non-rhotic version of English. eg “water” sounds more like “waugh-ta”. The word “particularly” to us is more like “pah-tic-u-lah-lee” with an emphasis on the “tic”.